December 1 — There are 24 shopping days until Christmas, eleven days until Hanukkah. Right about now, many of us are realizing we have a lot to do, and an increasing number of us are turning to the internet for help. Online shopping seems to grow in popularity each year. In addition to online retailers, another online option are sites such as Craigslist where you can purchase items from someone in the community. It can save time. It’s usually cheaper, and you can simply meet up with the seller to pick up the item and pay with no long lines. For the seller, online options provide a way to make some extra cash. For the buyers, a way to save money. Sounds like a great idea! What could possibly go wrong? Well, unfortunately the answer is — plenty. The holiday season is a time when scam artists get busy. Criminals take advantage of the hustle and bustle, counting on folks to ignore that “it’s too good to be true” gut feeling. Recently Columbus police responded to a robbery where a man was beaten in the head with a crowbar. His “offense?” He was meeting a guy to buy a gaming system advertised on Craigslist. When he arrived, he was attacked, and his money was stolen. Terrible. Stories like that make me cringe. While most people are in a generous mood — think about those Salvation Army kettles outside every store — the bad apples are out there. And even though most people are good, that doesn’t mean we don’t have to be careful. This time of year it’s easy to get frazzled, easy to not pay attention to our surroundings or to ignore the feeling of unease at the thought of getting a good deal. In Delaware County, there is a safe way to get a good deal. There are several safe places to meet up for an in person exchange. The Delaware County Sheriff’s Office and the Powell Police Department have established safe exchange zones in their parking lots for people looking to complete online transactions. The Delaware Police Department doesn’t have a specific space reserved, but according to the DPD, the building and parking lot on North Union Street have been used informally for that purpose for years. Genoa Township is looking into a safety zone, but for now, community members are invited to use their police parking lot as well. The spaces in Powell, located at 47 Hall Street, and at the Sheriff’s Office, located at 844 US Highway 42 N., in Delaware are under 24-hour video surveillance. In Powell officers can be contacted via intercom at the front of the station from 5 pm to 8 am. When planning the in person meeting, insist on picking the place. If you meet resistance to your suggestion of meeting at a safe exchange zone, think twice. Anyone participating in a legitimate transaction shouldn’t have an issue. If you cannot get the seller to agree to meet at a safe place, don’t do the deal. In addition to your physical safety being at risk, your money and/or the goods you’re selling are also at risk. It’s not worth it! As for payment, always insist on cash…and likewise, don’t be offended when a seller insists on cash from you. There are too many fraudulent checks and money orders out there, and the counterfeit copies are really good. If you accept a check or money order, you won’t know if it is “good” until you’ve deposited it. Never, ever accept a check or money order that is written for more than the asking price. Scammers will tell you, “that was my last check” or “I made a mistake on the money order” and ask you to write them a check or give them cash for the overage. The check or money order will most likely be fraudulent and then you have lost your property and the extra money you “reimbursed” the scammer. Please keep in mind, as often as I write about people most of us would not want to meet, most people who live in our community are good people who would never think of cheating anyone out of anything. Merry Christmas! Happy Holidays! I hope you all have a wonderful and safe season filled with love, laughter, and cherished time with family and friends. 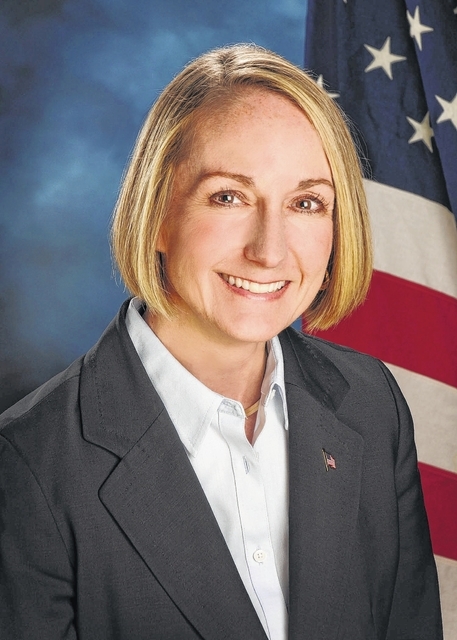 Carol O’Brien is Delaware County Prosecutor.